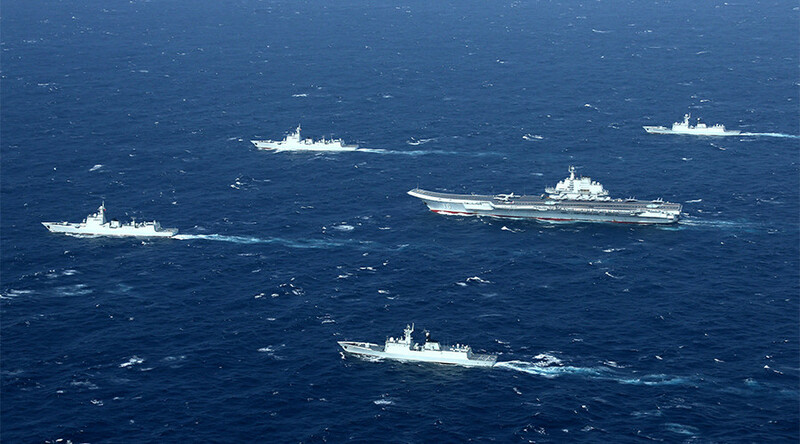 “These provocations, pressure, fantasies and over-exaggerations will not prevent the normal drills of the Chinese military,” the Communist Party’s People’s Daily said on Sunday, as reported by Reuters. According to the paper, no amount of “word bombs,” such as remarks by US President Donald Trump’s secretary of state pick, Rex Tillerson, could interfere with Chinese military exercises. Earlier, Rex Tillerson said that Beijing should be denied access to islands it has built in the disputed South China Sea. “We’re going to have to send China a clear signal that, first, the island-building stops and, second, your access to those islands also is not going to be allowed,” the former ExxonMobil CEO said. It would be a threat to the “entire global economy” if Beijing were able to dictate access to the waterway, he added. 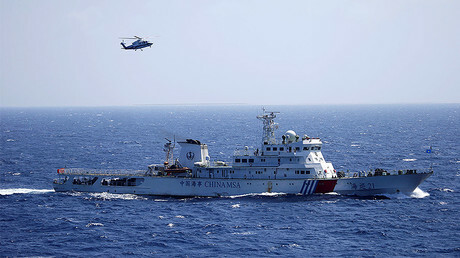 In early January, China confirmed that its navy, headed by the aircraft carrier Liaoning, was conducting exercises in the South China Sea to test weapons and equipment, as well as carrying out “scientific research.” In response to the move, Taiwan – which China considers its province – deployed jets and navy vessels to “surveil and control” the passage of the Chinese ships. The South China Sea, a waterway of strategic importance, has been at the center of tensions between multiple nations contesting waterway and offshore resources. China, the Philippines, Vietnam, Malaysia, Brunei, and Taiwan have claims in the region. In July 2016, The Hague Tribunal ruled that there was no evidence that China historically had exclusive control over the waters or resources. The court said that “there was no legal basis for China to claim historic rights to resources within the sea areas falling within the ‘nine-dash line,’” referring to a demarcation line on a map of the sea from 1947. Beijing, however, called the verdict “ill-founded,” warning its armed forces would defend its maritime interests. 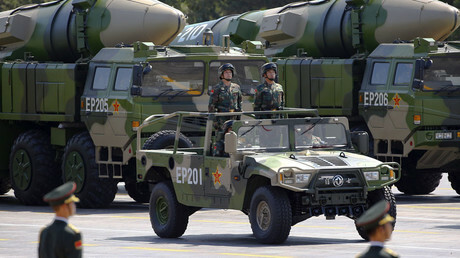 To bolster its claims over the disputed territory, Beijing has been busy setting up defense installations in the area, calling Washington’s involvement in the dispute the “greatest” threat to the region. Washington has intensified constant warship maneuvering near the artificial islands that Beijing has built, justifying its activity according to the principle of Freedom of Navigation (FON). Tensions between Beijing and Washington escalated in December after a Chinese naval vessel spotted and seized a piece of “unidentified equipment” in the South China Sea, which turned out to be an underwater US drone. Then-US President-elect Trump accused Beijing of “stealing” the device. Beijing then accused the US of repeatedly dispatching vessels and aircraft to carry out “close-in reconnaissance and military survey” within Chinese waters. Later it promised to return the device, criticizing Washington for “hyping up” the incident.